Dock in our cottage, plan a lovely vacation and visit all these fabulous and historically famous locations. 20 Kms. away from Alibag after revdanda is a small village named 'Salav' on the alibaug � roha route. There is a temple on a hill top near Salav village. 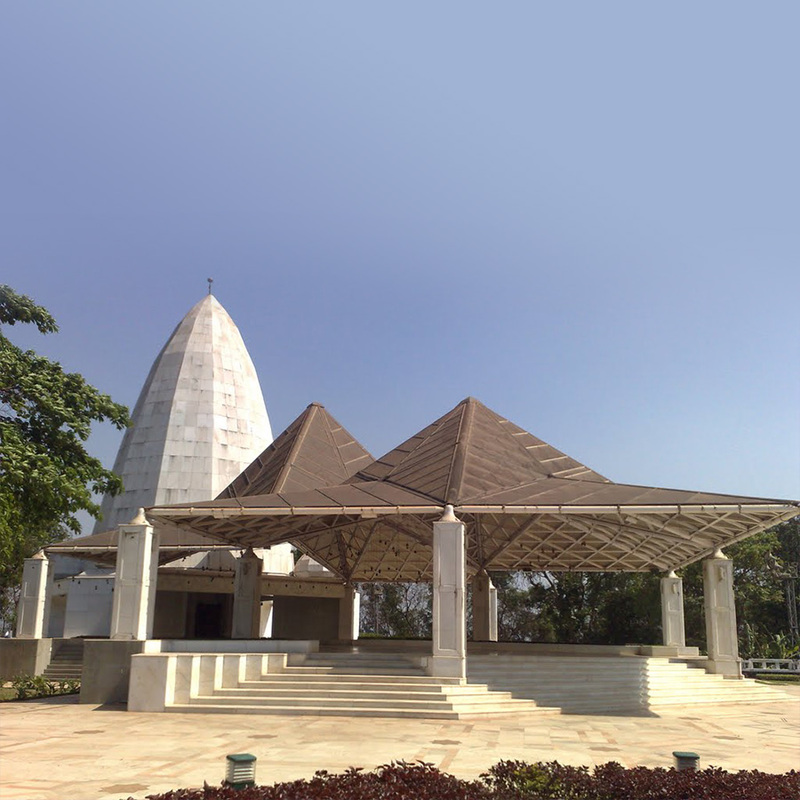 Vikram Ispat company, a part of Birla udyog group has built this temple called 'Birla Mandir'. This temple is between the Vikram Ispat company and its beautifully located residential colony. It is a temple built in pure milk white marble and its dome can be seen from a long distance also. It can be reached by road or by climbing the steps. While climbing the temple steps one is always mesmerized by the landscape. On both sides of the steps is green velvet carpet of grass and beautiful flowers which will keep you spell bound for a minute. The temple has marble floors and the hall of the temple is open from all sides. The ceiling of the temple is transparent which allows free flow of air and ample of light to come in. On entering the temple there is a square shaped nave. The nave is also made of marble and is very beautifully carved. The beautifully carved idol of 'Ganapati' is placed the nave. The idols of 'Riddhi and Siddhi' are placed on both sides of idol. Around the nave are small temples of 'Radha-Krishna', 'Shiv-Parvati', 'Bhavanidevi' and 'Suryadeva'. In the garden next to the temple there is a statue of "Late Aditya Birla". 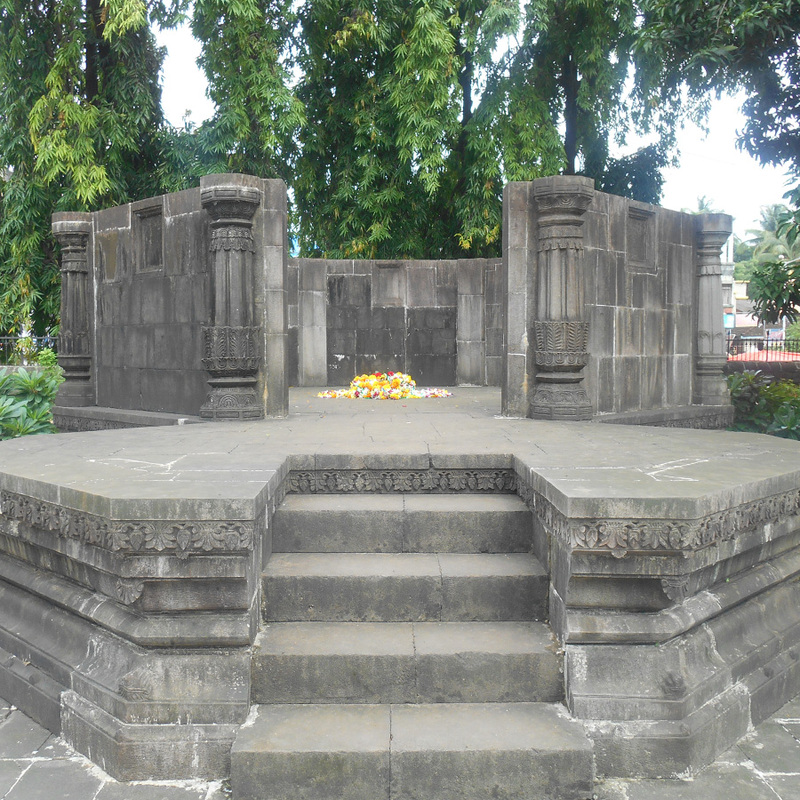 Just five-minute walk from Alibag ST stand, on way to market, is this tomb. The structure has 8 faces and the pillars are exquisitely sculpted. Though in dilapidated state today, it stands in sacred memory of the great Maratha Admiral Konhoji Angre. 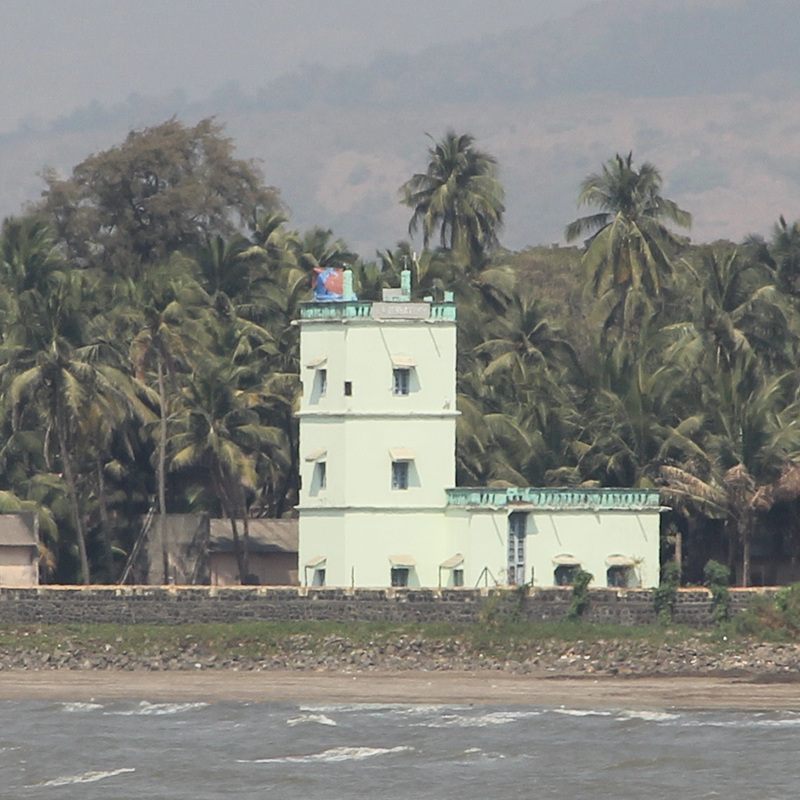 Korlai Light House: Korlai Fort is located about 15 kms from Alibaug bus depot. 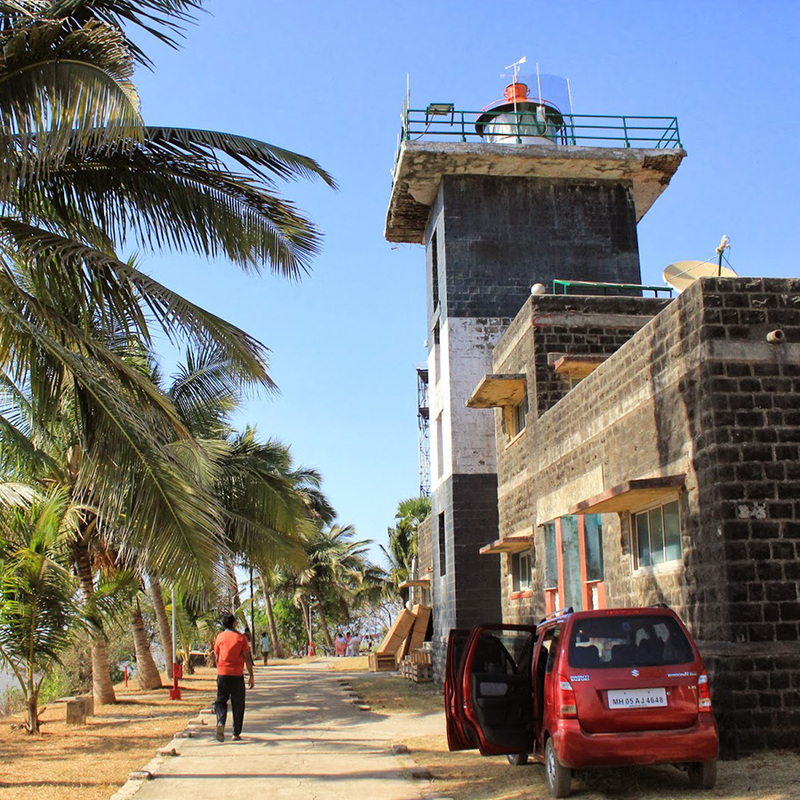 Built by the Portugese the Korlai fort and lighthouse offer panoramic views of the sea. Within the Korlai fort there are three inscriptions . Over one of the inscriptions surmounted by a cross is a coat of arms with a shield, the Portuguese star in the center surrounded by seven castles. 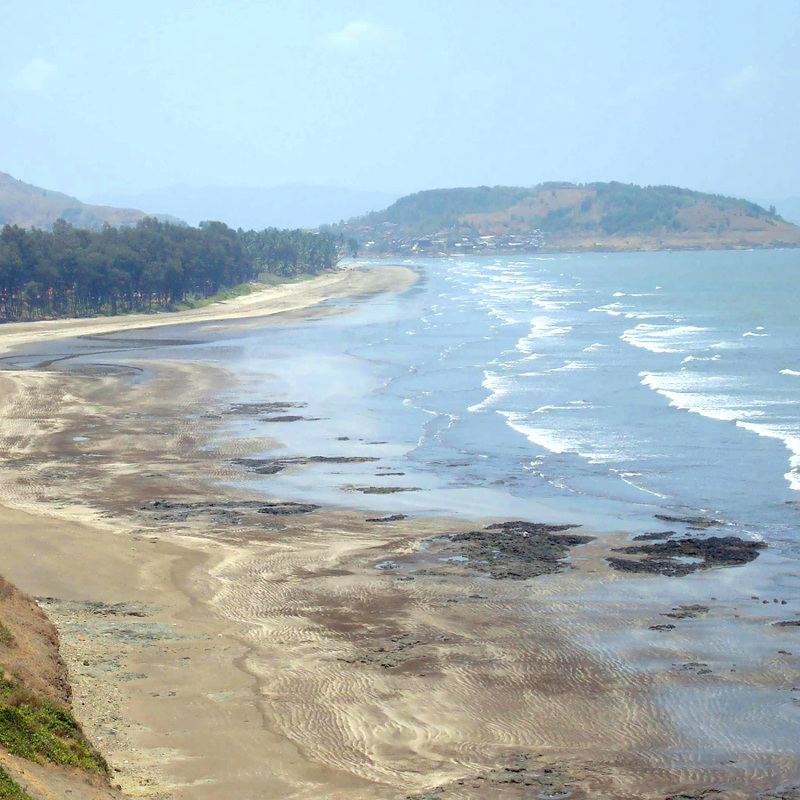 Murud beach is surrounedd on three sides by mountains. The water here is clear blue and the sand is slivery white. The sunset from this beach is also fabulous. Established in 1904, this observatory is the only one of its kind in Asia and one of 13 in the whole world, with whom data is exchanged every 12 minutes. The British period building that houses rare valuable instruments like a magnatograph is built only in stone, with no steel used. The observatory records magnetic movement in the earth's' crust and also magnetic storms caused by solar storms. 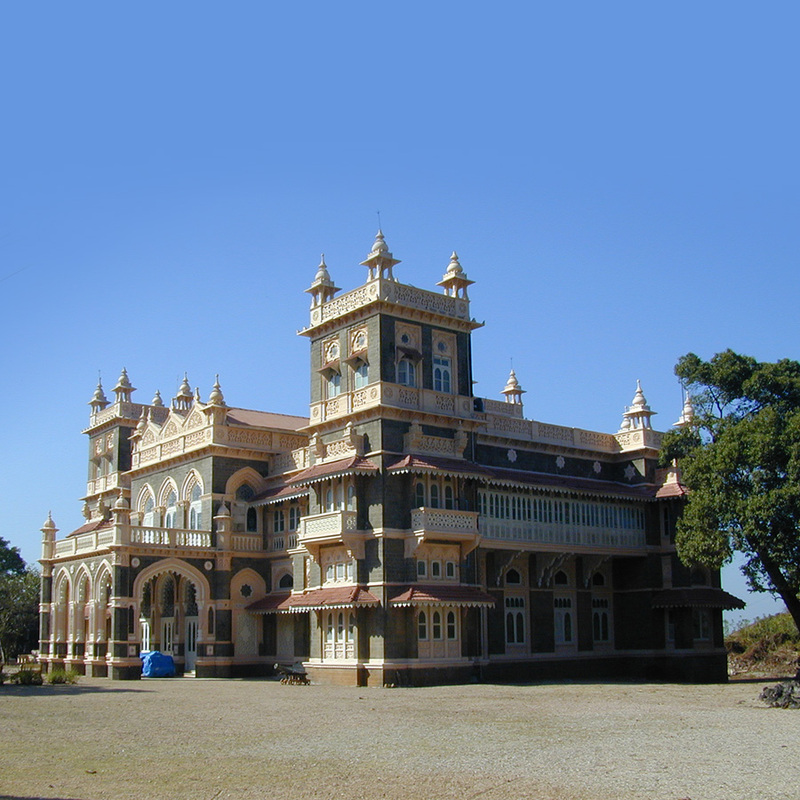 While entering Murud you come across the Palace of Nawab on the left hand side of the road. The palace was built in 1885 for administration purposes. However you can see the Palace only from outside as the palace is still owned by the descendants of the Nawab and is a private property. The Nawab of Janjira moved into the Ahmedganj Palace in 1885. The grand palace, designed with a fusion of Mughal and Gothic architectural styles is built on the edge of a cliff and offers a magnificent view of Murud and the Arabian Sea. Spread over a vast area of 45 acres, its grounds hold a marvelous mosque and the tombs of the previous rulers. 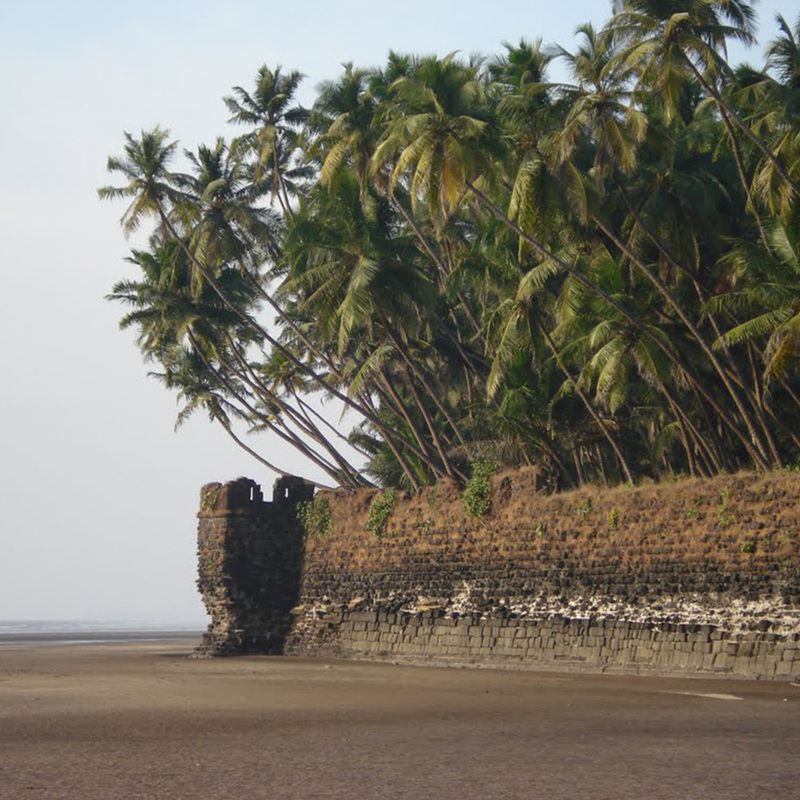 Revdanda is 17 kms to the south of Alibag where remnants of huge outer walls of this fort, built by the Portugese in 1558, can be seen. The thick outer walls are hollow from within and these clandestine routes are interconnected. A structure, in dilapidated state today, known as 'Saat Khani Buruj (bastion) was constructed in 1534. These walls run 5-6 kms in length. 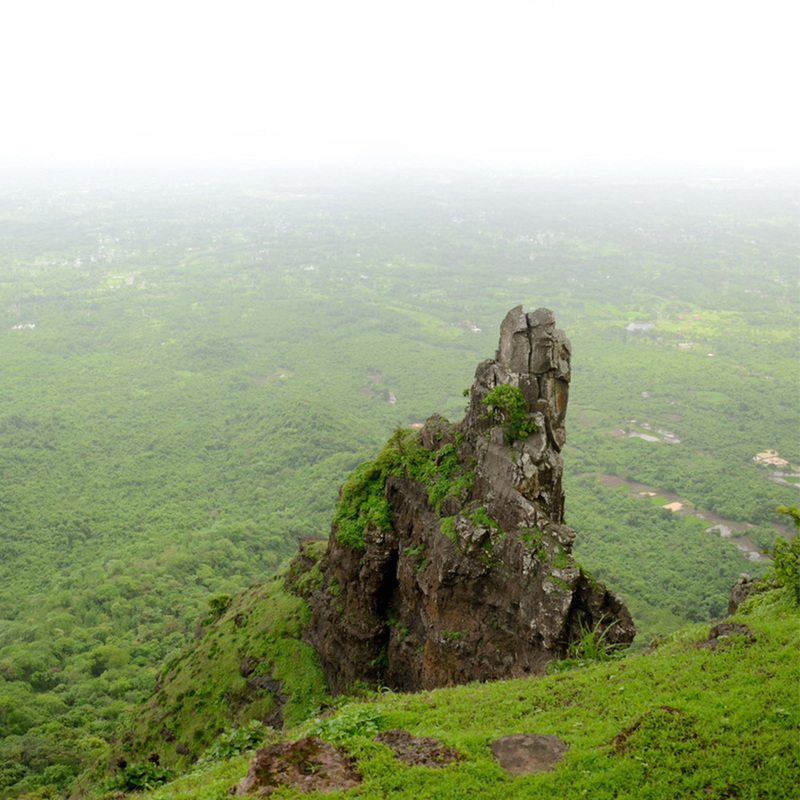 This hill-fort, 7kms from Alibag is an old fort of Shivaji's times at 1357ft from sea-level. A dirt-track road to this fort begins at Khandala on Alibag-Pen road to the East. 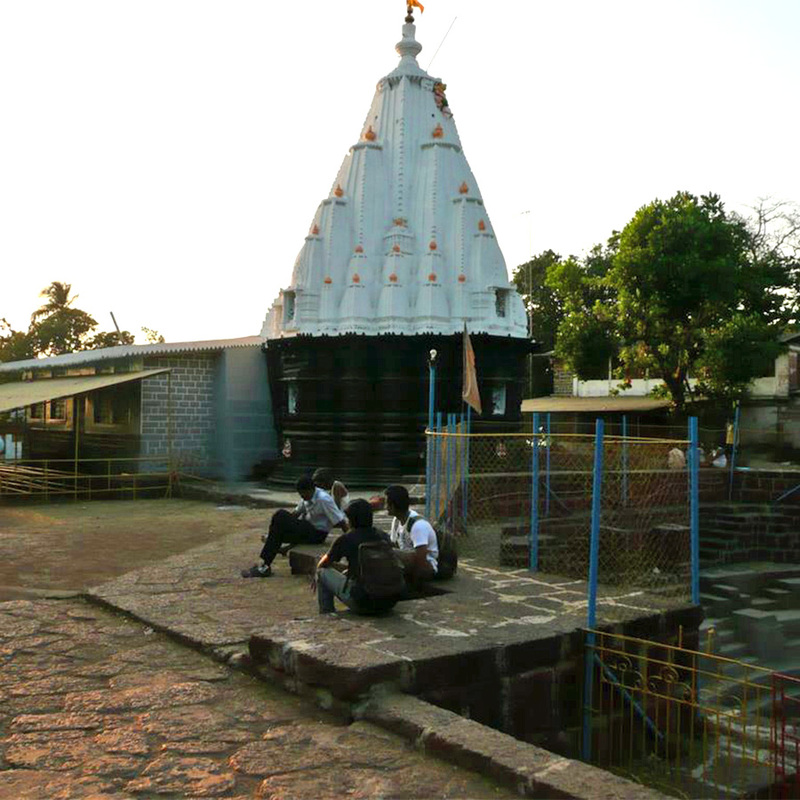 Half-way to the fort is Siddheshwar temple and an Ashram, where you can rest a while. 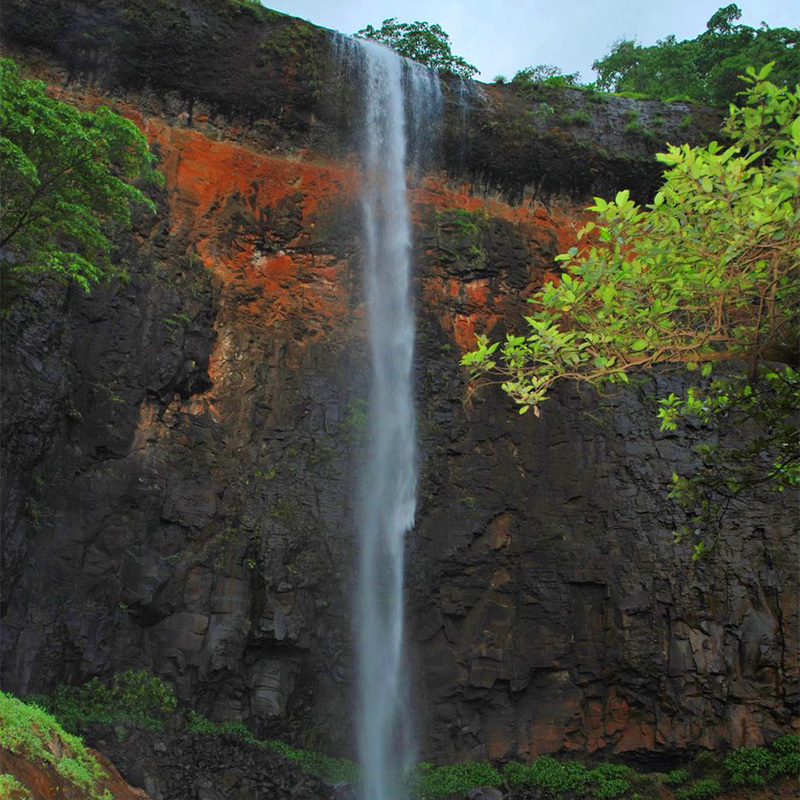 During rainy season, one finds a cascading waterfall at this spot. To the left just before the Ashram, the trek-route to Sagargad begins. In an hour's time, one can reach the fort. The main gate is in completely desolate state while the two bastions are partially dilapidated. Inside, a temple and a small tank are in a disused state. Another tank is known as Pandav Kund. On the fort proper, one finds nine tombs of Satis. The place is called Sati Plateau. Besides this plateau a thumb-like erect land mass is known as Wanartok. The fort is totally uninhabited. 13 Kms from Alibag in Northeast direction is this very famous Shiv temple on a 900 ft. high hill. Its' a 5000 ft. long climb on well paved stairs, which takes around one hour landmarks along the route are tombs of MohanGiri and Balgiri, Nagoba Rest, Jambhali Plateau, God's stair, Gaymandi etc. The fatigue of the uphill climb vanishes the moment one enters the scenic temple premises . It comprises various small temples of Sri Paleshwar, Sri Hanuman, Sri Balram Krishna and Lord Shiv. The special attraction is an ancient sweet water tank enclosed in traditional structure of black stone. The ancient temple was built by Raja Ramdeorai yadav. The height of the Shiv temple is 54 ft. The front gate has Lion sculpture on both sides with traditional lamp-pillar(deepmaal) in front. The 4 ft. long 'Pindi' of Lord Shiv is Silver plated. The premises also include Nagaar-khana, Bheem Kunda, a garden for flowers to be offered to the Lord, Sri Ram Ganesh temple and Gomukha. Every year, Kartik Poornima in Hindu calender is the day of fair. On this hill, variety of herbs are found. 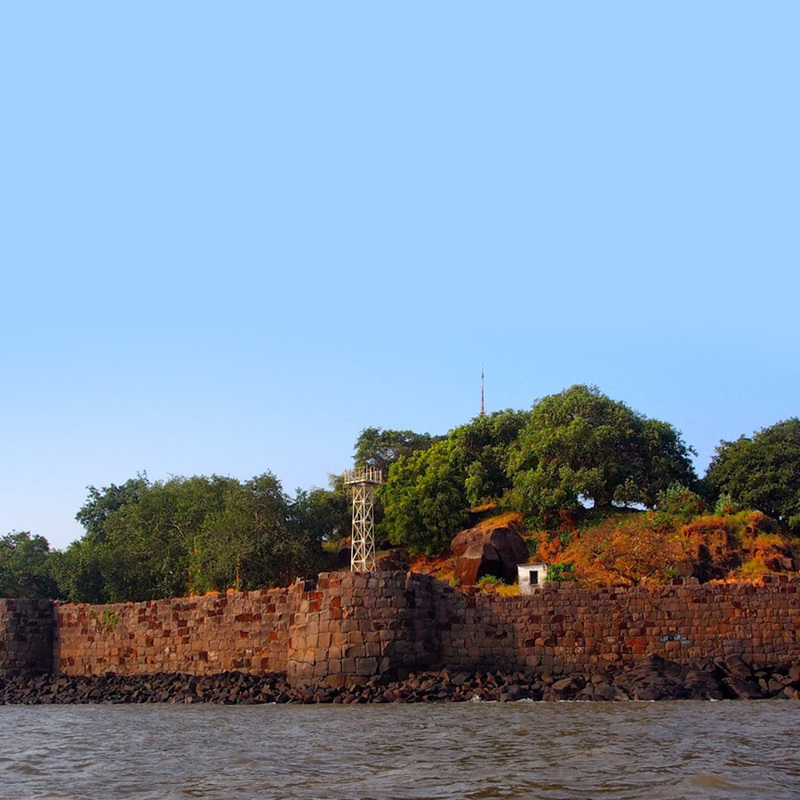 This overwhelming guardian of the Siddi naval prowess over the Arabian sea, can be approached in sail boats, which leave from Rajpuri jetty, 5 kms from Murud. As we land at the front gate of the fort, two formidable bastions. can be seen guarding the huge gate. Here is a sculpture in stone depicting a Lion that has overpowered six elephants. The main gate is followed by another gate where 3 lungers/anchors are clearly visible in front of shrine of 5 Peers(peerpanchayatan). Opposite of that is a big sweet water tank. Around that stand Khasha Siddi Masjid and ruins of houses. Next comes Surul Khan's mansion(wada). In the backyard, remnants of Hindu sculptures are visible. During archaeological excavations in 1985, temple ruins and a 'Shivaling' was found. On the background, fortified bulwarks with guns positioned, are unmistakable. There are 24 bastions in all, having their separate names. Special attraction of this fort is 3 Gigantic Cannons named Kalalbangdi, Chavri and Landa Kasam. Another gate to the west is sea- facing,called'Darya Darwaza'. 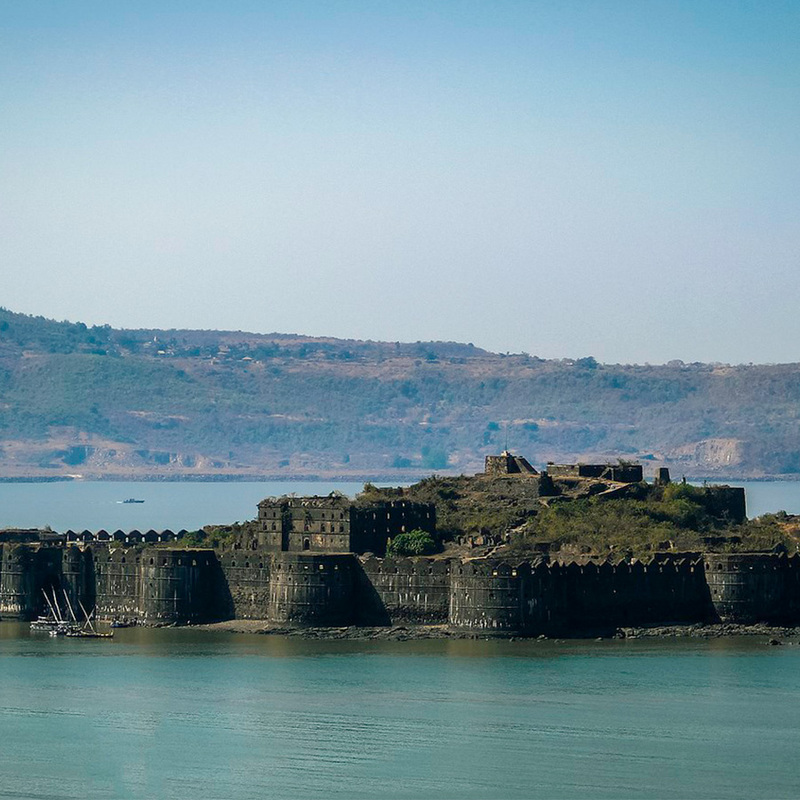 Three to four kilometers into the sea from Thai beach, which is 5 kms from Alibag, this fort was built in 1678 on a small island. Later, a light house was erected. This fort was for long under the Angre's control. Today it is under Bombay port trust administration. With their permission, you can visit the fort in local boats. Sidz Cottage is owned by Sushil and Shilpa Jadhav who have been in Alibag for over 15 years. Entranced by the natural beauty of Alibag and the peaceful surroundings they decided to develop this small corner of the land in the village of Nagaon 6 kilometers from Alibag. Mandrekar Colony, Opp Nagaon High School, Nagaon, Taluka - Alibag, District Raigad. Copyright © 2019 All rights reserved. Sidz Cottage, Nagaon, Alibag.